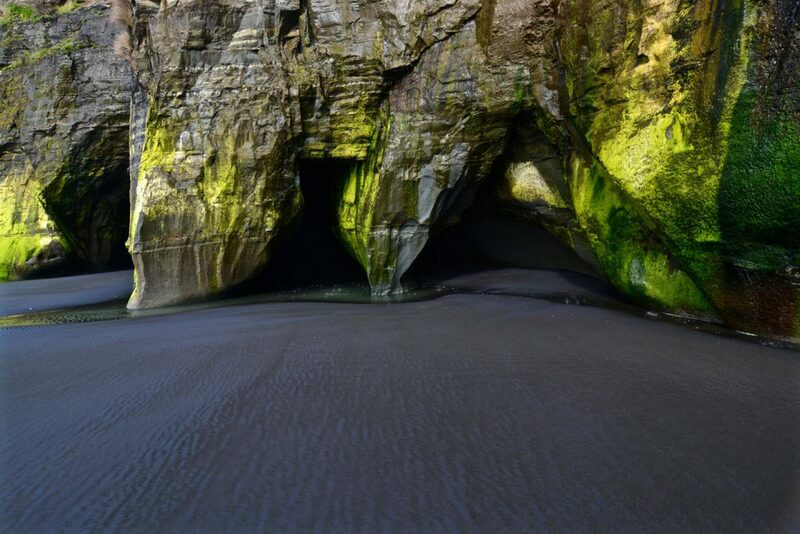 Tongaporutu is the name of a settlement and a beach in northern Taranaki on New Zealand’s North Island. 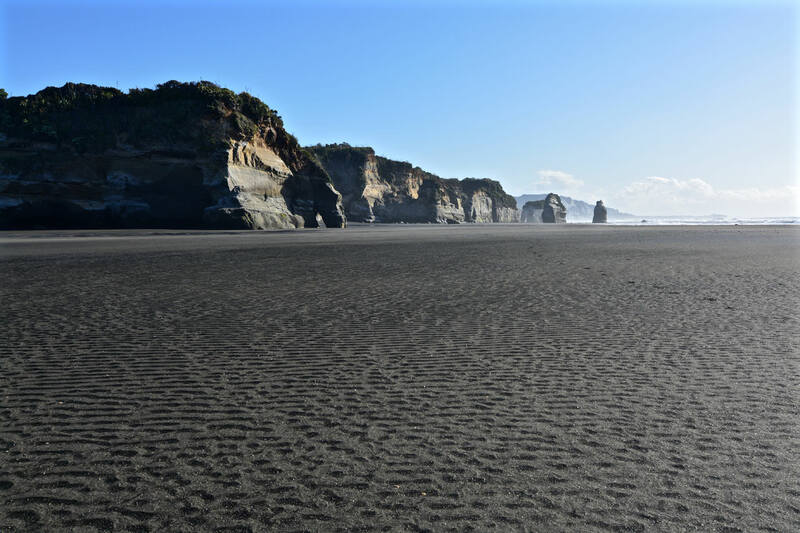 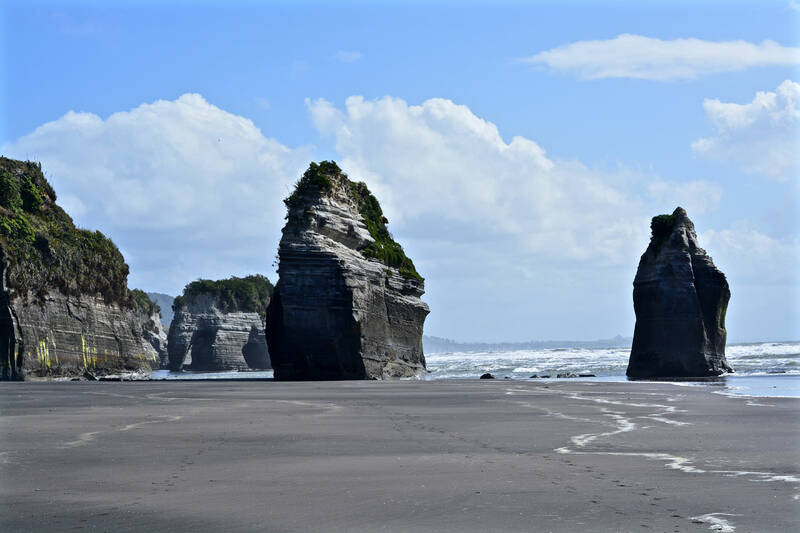 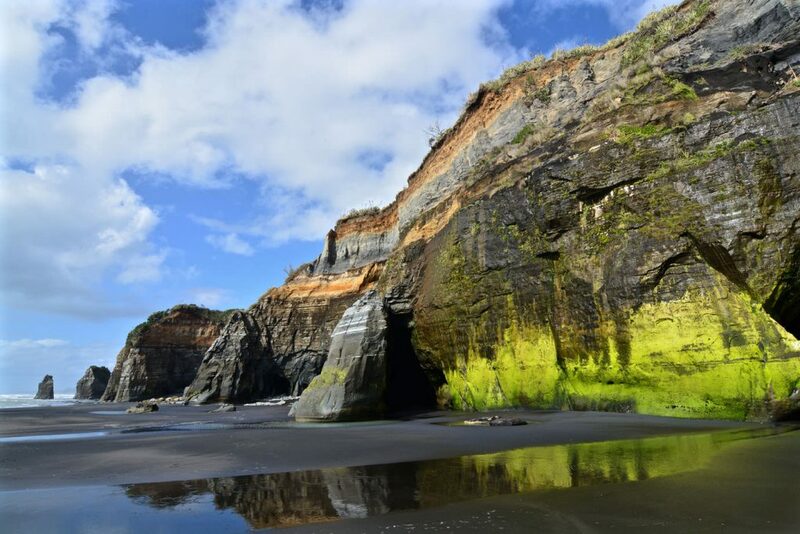 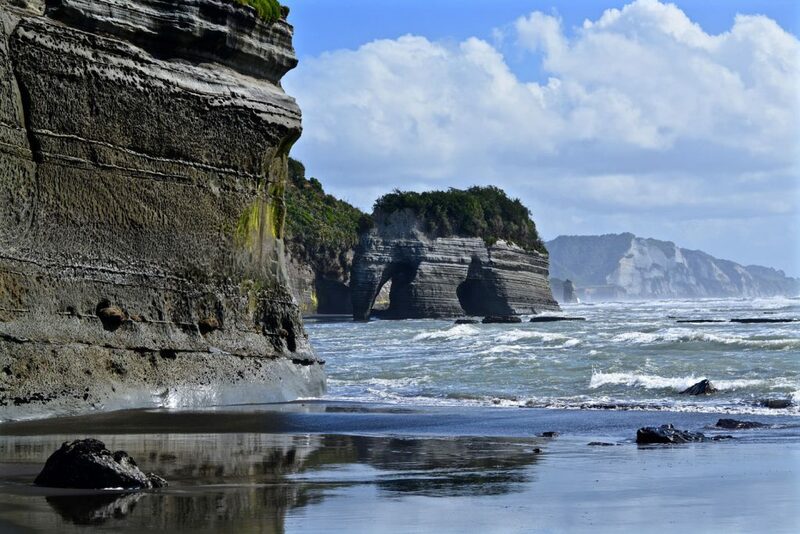 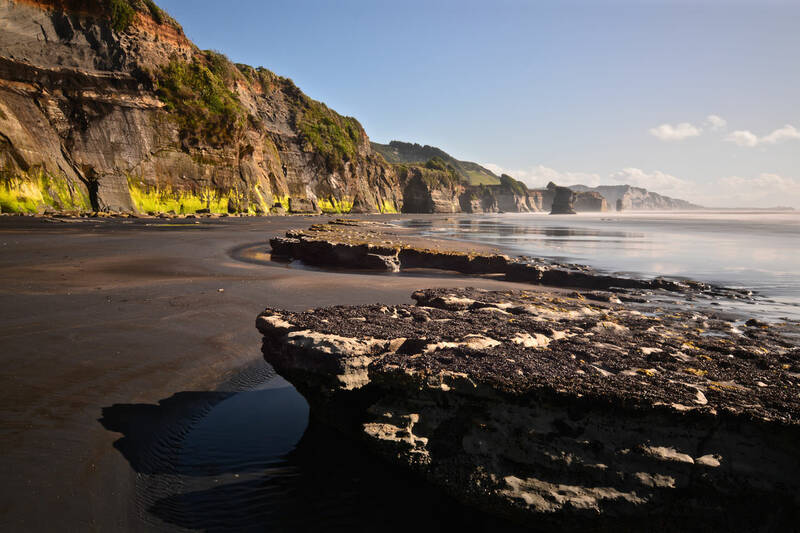 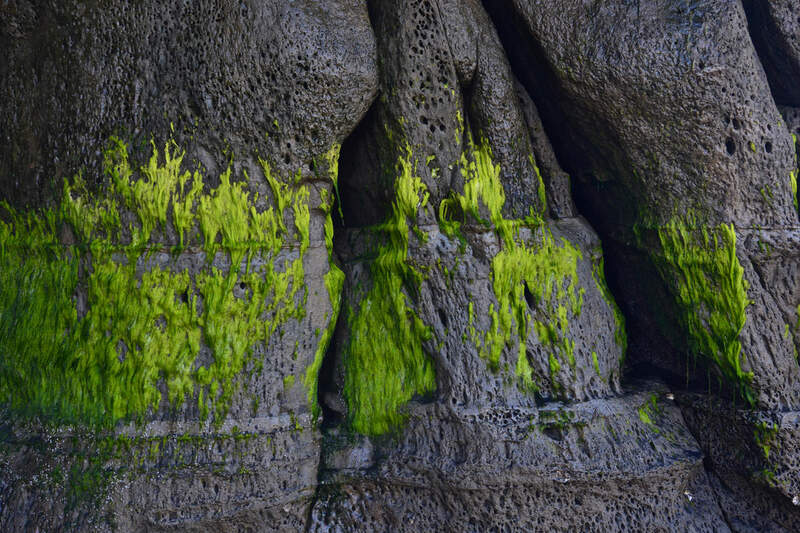 Tongaporutu Beach is well known for its outstanding rock formations. 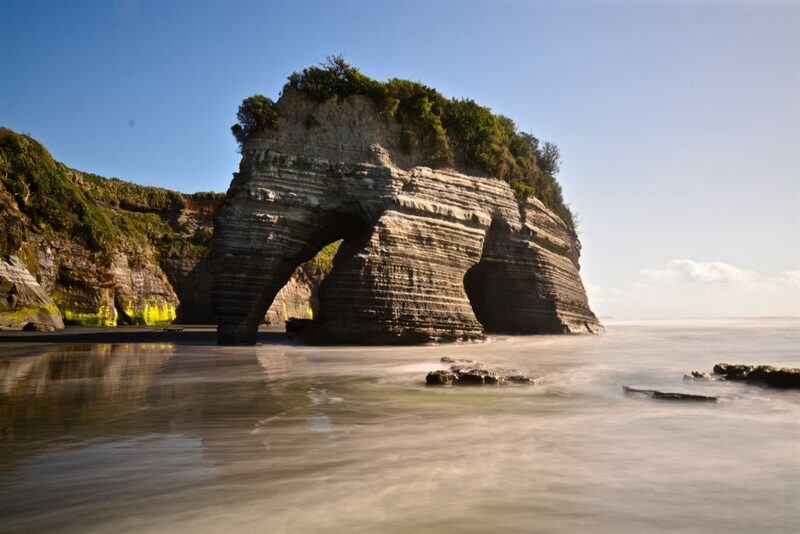 On formation is called „Three Sisters“ and the other one „Elephant Rock“. 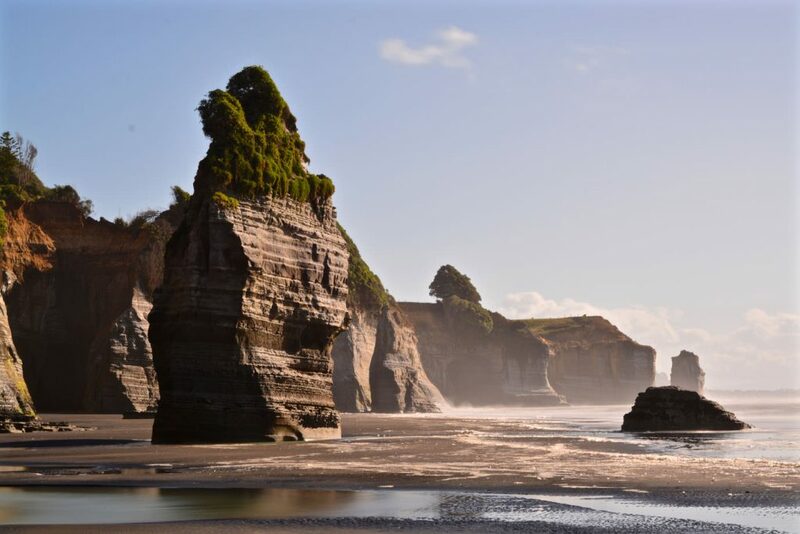 In the first place „Three Sisters“ was a rock formation composed of three rocks but erosion took one away. 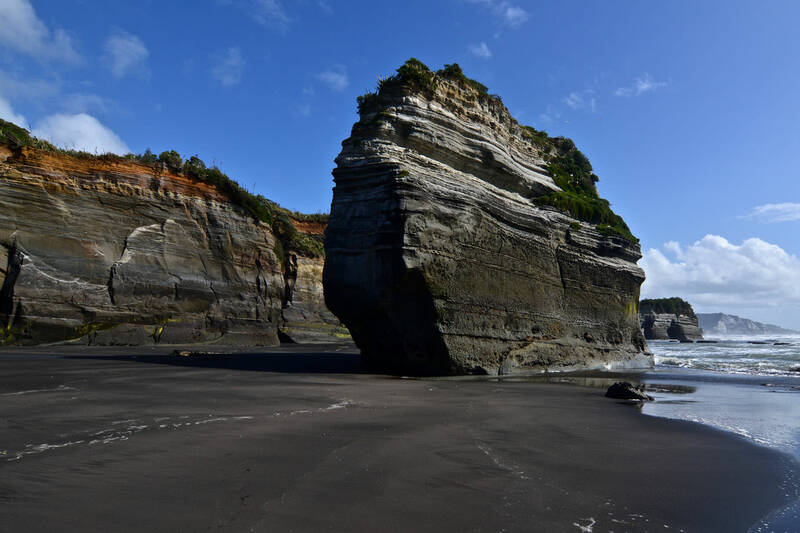 Next to the Three Sisters one can find another rock formation called „Elephant Rock“. 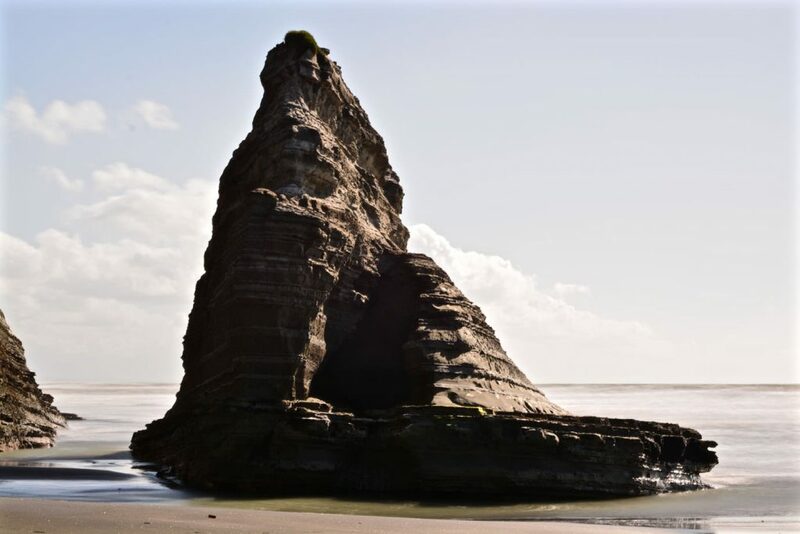 This formation looks, as its name already suggests, like an elephant. 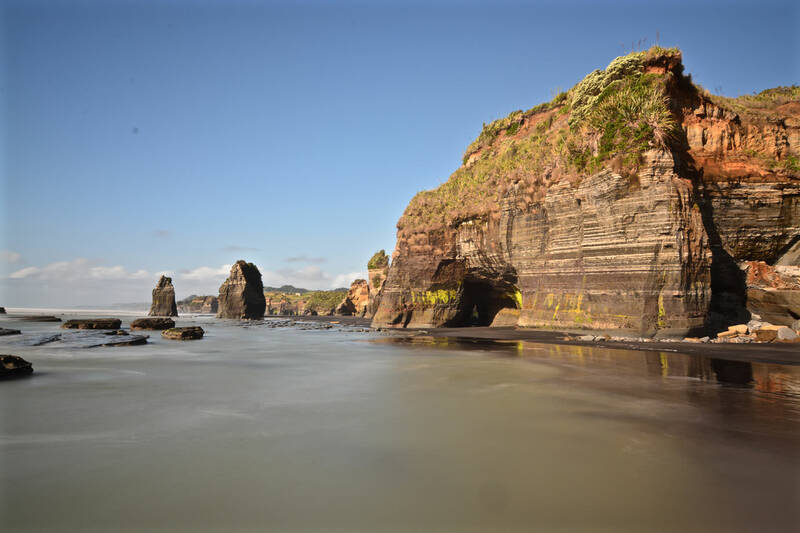 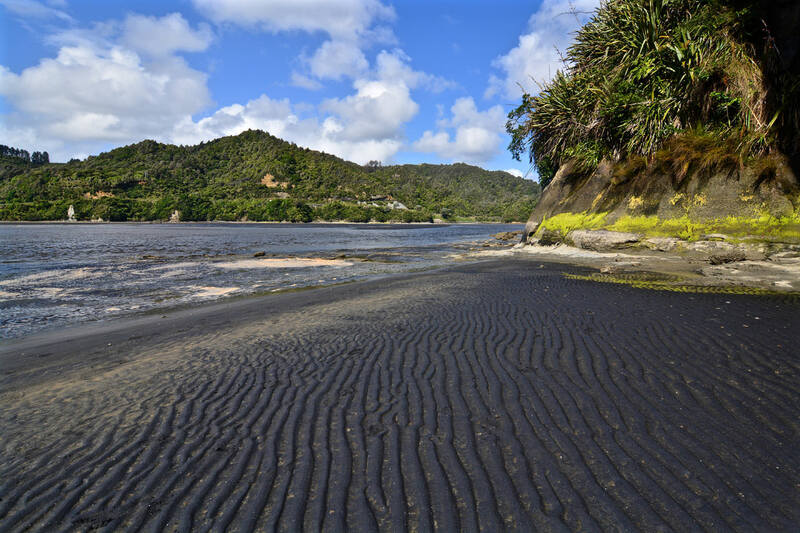 Tongaporutu Beach is best accessible when tide is low. 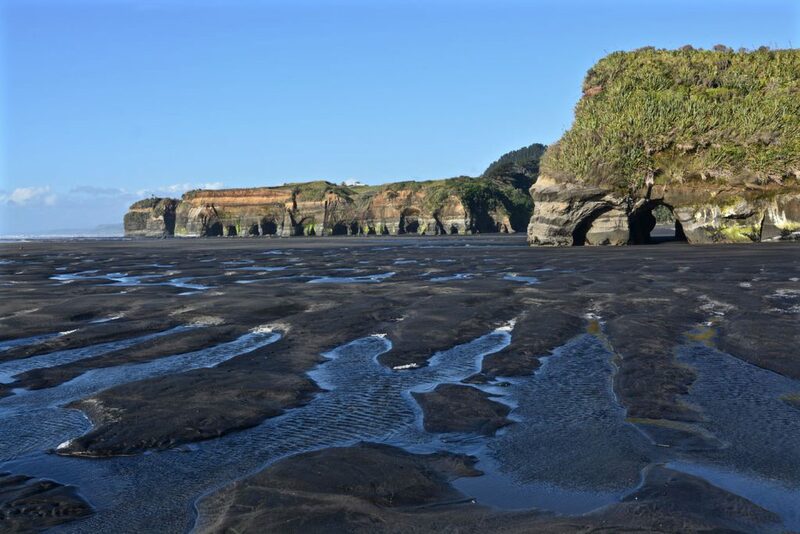 At low tide one can walk along the river and around the point to Three Sisters and Elephant Rock. 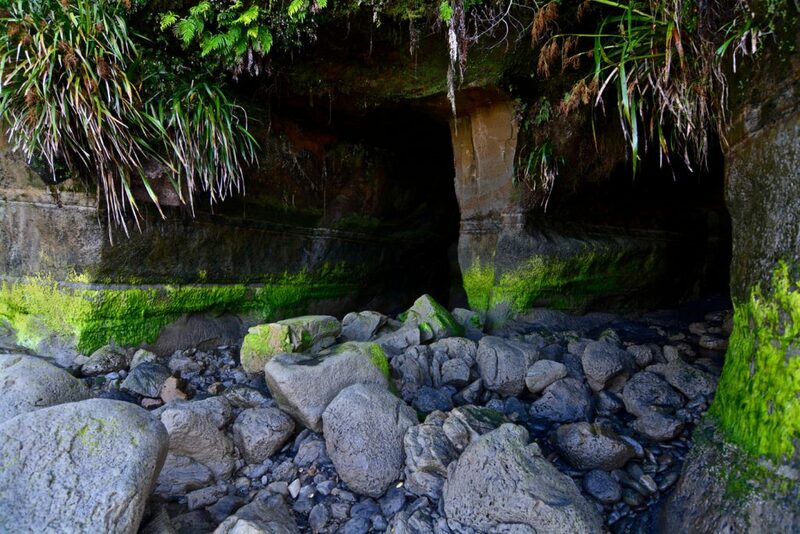 Within the caves next to the beach Māori petroglyphs can be found.